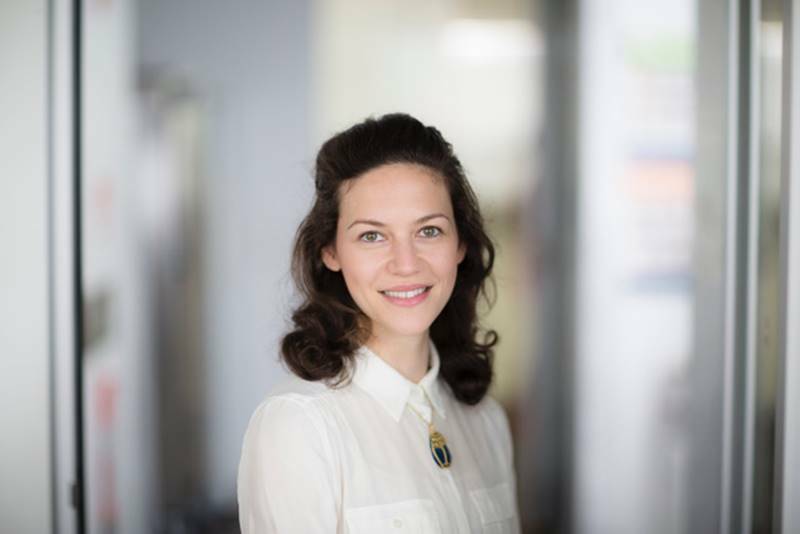 Victoria Baranov is a lecturer at the University of Melbourne Department of Economics. As a development economist, Dr Baranov focuses on issues of economic development and poverty. In this interview, she explains how her work could change the future of mothers and children in the developing world, and how she balances her busy teaching and research schedule. I’m a development economist, and I primarily study what makes poverty so persistent. A major thread in my research has been understanding the role of physical and psychological health in the poverty cycle. For example, I’m interested in the role of psychology in decision making: how poverty can exacerbate certain psychological conditions in individuals - in particular, stress, anxiety and depression, which are very common – and how those conditions subsequently affect behaviour. I also look at how physical health and disease, and the associated risk environment, impacts decision making. For example, I’ve studied how HIV risk in sub-Saharan Africa impacted uninfected individuals’ decisions regarding how much to work, save and invest. What is it about development economics that attracted you in particular? Development is an area which I believe is of critical importance. It’s about trying to improve the lives of the most disadvantaged people on the planet. Development economics is not a matter of ‘are we going to be growing at three per cent or four per cent?’, it is a matter of life or death for so many people. Development economics also attracted me because it’s an area which had already embraced a more scientific approach of experimentation. People working in this field were already using experiments to study behaviours and responses to policies. Can you tell us about the work you are doing in Pakistan on mothers and depression? I work with a large team of people, which has essentially developed an intervention that treated perinatal depression – so women who were depressed during pregnancy were provided Cognitive Behavioural Therapy (CBT) - a treatment provided by community health workers. My colleagues actually trained community health workers to come and visit the women and deliver this intervention. In the short run, it had very large affects – it reduced depression rates among women by around 78 per cent within the first year after the treatment. This was the largest psychotherapy intervention that has ever been evaluated in the world. What we’re doing now is looking at the long-term implications of improved psychological health for these women. So we followed up seven years after the intervention. We looked at a broad range of behaviours – looking particularly at whether they were financially empowered, whether they were enabled in making decisions for their households, and how they were investing in their children. On top of that, our seven year follow up is also the longest follow-up of a psychotherapy intervention, by a long margin, and so it provides a rare glimpse into the persistent effects of a one-off therapy. What are the main implications of the findings? A massive number of women in the world experience perinatal depression, and we know it is such an easy thing to target and screen for. This study has such large implications not just for the women, in terms of their wellbeing and empowerment, but also for the next generation. I think what we learn from this on one hand, is that these interventions are very rare in developing countries, but they are inexpensive, and they have the potential to impact so many women and children. I think we should be considering rolling out more of these policies throughout developing countries. This study provides some key evidence that there is strong potential that there is a psychological aspect of poverty that reinforces the poverty cycle. As economists, we talk a lot about poverty traps – situations where people are essentially unable to get themselves out of the cycle of poverty. What’s been surprising when we look at the “classical” sources of poverty traps economists have focused on in the past like credit constraints or high exposures to disease – alleviating those constraints with interventions like microfinance, mass vaccination, etc. hasn’t generated the explosive growth we would expect. We’ve been a little underwhelmed by the extent to which financial interventions have been able to help people get out of poverty. Recently economists have started to realise – perhaps we’ve been downplaying the psychological role in the poverty cycle. The implications of these findings suggest that a psychological poverty trap is possible – and it might explain why poverty is such a persistent state – why it is so difficult to get out of poverty even when financial constraints might have eased. Tell us about a week in the life of an economics professor? I need to balance my research with my teaching commitments. I lecture on Mondays and Tuesdays – all my lectures fall on those days, so I do the bulk of my teaching related work on those days. That includes preparing for lectures, responding to student emails, consultations, marking and meeting with students whom I supervise. So the first two days of my week are all teaching related, then seminars and other meetings are on Wednesdays, then Thursday and Friday is when I do research work and write and think. Thinking is obviously a really important part of the job, you definitely need space to do that. Funny moments in my schedule arise because of working with other researchers across the globe. Time zones can be tricky, especially in Australia. As much as I try to optimise my schedule, I inevitably end up with Skype calls at 6am, or 11pm or sometimes both in one day.